100 I used to have students put their whiteboards on top of the lab tables, leaning against the support rods. Now I have them place the whiteboards on the floor, leaning on a stool. I like this better, because students can’t “hide” behind the board. 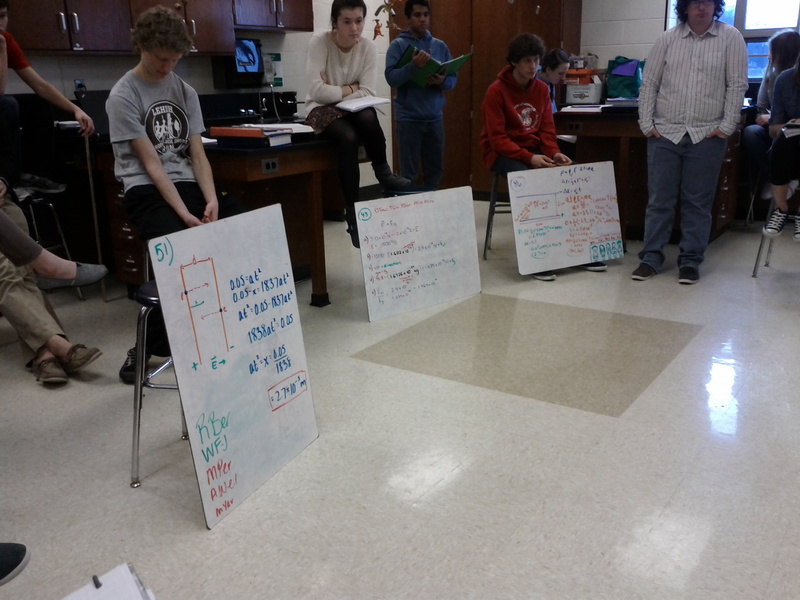 Here the AP class is going over some electric field problems.